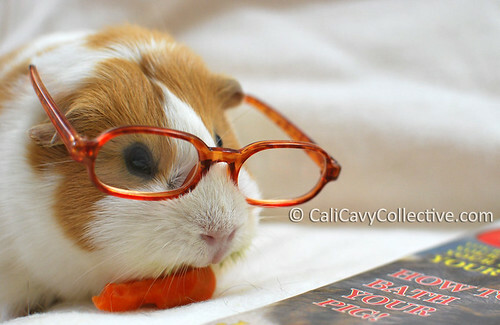 Can you guess what Peaches is reading? The latest issue of Guinea Pig Magazine! Add a snack, a cozy, a human and a couch into the equation and you have the makings of a relaxing evening. Lucky Peaches, lots of interesting articles in this edition. Peaches favorite read was the bath article.